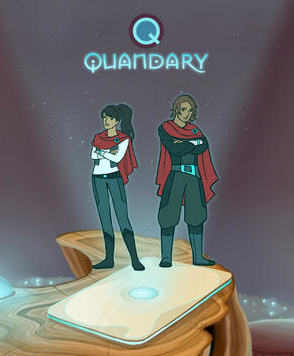 Quandary is a fantastic free site/game that I've blogged about in the past that is built around engaging student's ethical and critical thinking skills. This game actually kind of reminds me of the book Divergent where students have to make choices that affects the outcome of the game. This game definitely has a Science Fiction feel as it takes places on a planet named Braxos where players have to make choices between questions that have no right or wrong answer. It really is a unique gaming experience and one that has landed Quandary many awards. Quandary has just released their mobile app which not only allows students to play on a mobile device but also allows them to create their own characters. I highly recommend checking out Quandary by clicking here!!! For the free Quandary iPad app click here!!! For my Pinterest board on Educational iOS Apps click here. For my Edshelf collection on Educational iOS Apps click here.